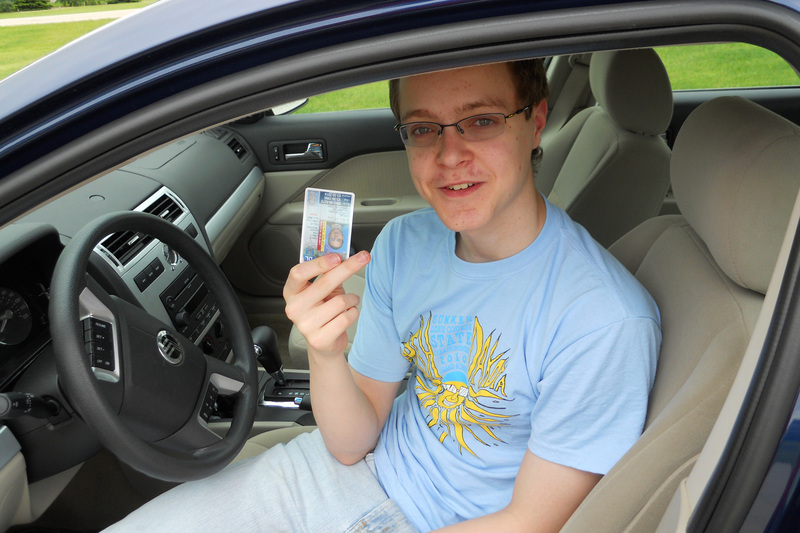 Last July our 14 year old got his driver’s permit. He really didn’t want to get it, but we said it would be good to have so he could practice driving in our loop. Many days when we would come home, I would pull over after I got off the 70 mph highway and let him drive the loop the mile home. Then winter came and along with it, ice. He had no desire to drive. I was actually quite happy about that. Most of his freshman swim buddies had their licenses, and there were times I held my breath while I was in the Aquatic Center parking lot. ND roads can be icy and parking lots can even be worse. Those roads and teens driving don’t always mix. So this spring when the roads finally got better, he decided to drive again; still reluctantly. However, 2-a-day swim practices, 10 miles each way and about 4.5 hours of my time a day, kept me encouraging him. Finally he took the 6 hour behind the wheel with Mr. Ferrie from St. Mary’s High. He then took the 30 hour driving class, and his confidence, along with his ability, soared. He started driving me to his swim practices. Then the trial came, two weeks ago when I was in MN, Z drove his Grandma to and from practices. They lived to tell about it. Seriously, Gma said he did very well. 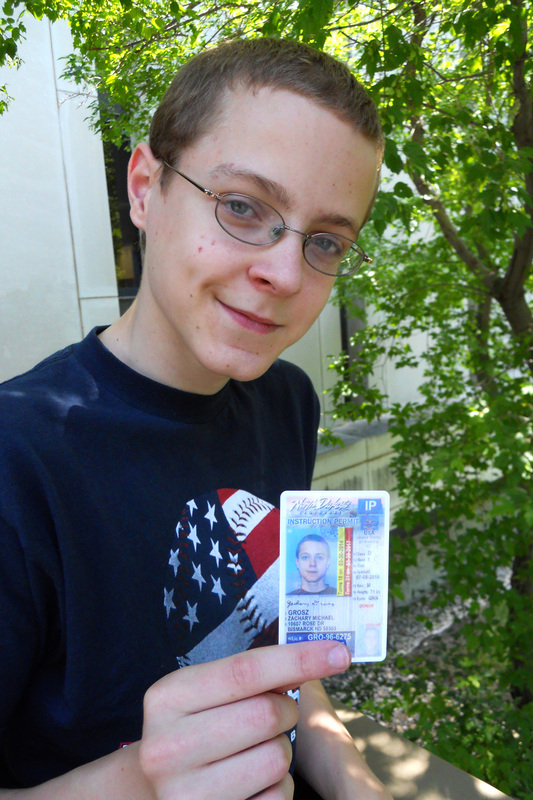 So on June 25, I took him to get his driver’s license. Now this wasn’t without incidence. We get there, and they ask for his permit and his behind the wheel certificate. We look at each other, and realize we left the certificate at home. So I took off to get it, and 30 minutes later he was taking the test. Woo-hoo. 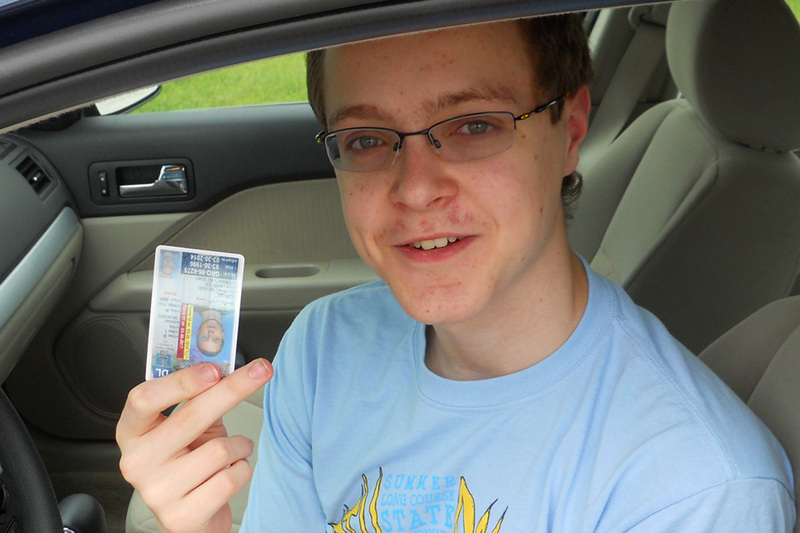 He passed, and now he has his license. He is a 15 year old that can drive a car. Yikes. I was so proud and yet a little scared. I know that when he finally is comfortable to drive on his own, this becomes the first stage of independence and our lives will never be the same. I am filled with happiness, fear, anticipation, pride and so much more. My baby can drive. Ok, now just in case you didn’t look at it closely. Here is the photo again. Look at the license. Yep it is upside down…and I am trusting him to drive??? Are you sure you want to be on the road?